Lease/Options can be fun and profitable, but there are certain pitfalls. The following are some practical, legal and tax tips I have learned from doing many lease/options deals over the years. Lease/options are great, except when the seller decides not to live up to his end of the bargain. Sure, you can always sue the seller to force him to sell you the property, but this can cost you thousands of dollars in legal fees and take years to accomplish. You need to be in a better position if you want your investment to be protected. » Record the Option. If your option was signed before a notary, you can record your option in the public real estate records. This will give the world public notice of your interest. If the option was not notarized, you can sign an affidavit called a “memorandum of option” and file it in the real estate records where the property sits. Keep in mind that this does not create a lien, it only creates a “cloud” on the title. » Escrow the Deed. If your seller has died or disappeared, you will have a big problem getting him to sign a deed. An escrow should be created up front in which a title company or attorney holds an executed deed. When you are ready to exercise, you simply tender the money to the escrow agent and collect the deed. » Record a Mortgage. Typically a mortgage is recorded to secure payments on a promissory note. A mortgage can be recorded to secure the performance of any agreement, even a purchase option. You as optionee (buyer) will now be a lienholder, in the same position as a secured lender. If the seller refuses to sell the property, you foreclose. Now the seller has to go to court to protect himself, rather than the other way around. Tenant/buyers who default on a lease/option do not always go away quietly. Sometimes, they fight the eviction and go into court kicking and screaming, “I HAVE AN EQUITABLE INTEREST IN THE PROPERTY.” What they are arguing is that the lease/option is not a landlord/tenant relationship, but rather a seller/buyer relationship. If the Judge agrees, your lease/option is “re-characterized” as an installment land contract. This may require you to foreclose the tenant, not just evict him. » Use Separate Agreements. Give your tenant a lease and a separate option agreement. Make certain the lease does not refer to the option. More than 75% of the time, the tenant loses his paperwork. » Keep Your Term Short. 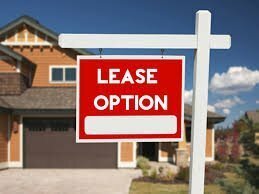 Do not give tenants more than one-year lease/options at a time. If the tenant insists on three years, give him a one year with 2 rights to renew. Draw up a brand new lease and option agreement each time he renews. If you give a cumulative rent credit, raise the purchase price each time. » Pay the Taxes and Insurance. Do not let the tenant pay the taxes and insurance. This makes it look like a sale. » Don’t Give Large Rent Credits. The more “equity” the tenant has, the more likely a judge will favor an equitable mortgage. If you lease/option, then sub-lease/option, we call this a “sandwich.” When your subtenant is ready to buy, you simultaneously “buy and flip.” This profit is taxed as ordinary income. If you held the option more than a year, you may qualify for capital gains treatment. Instead of selling the property, sell your option and let your subtenant exercise it directly from the owner.